In an October 5th Wall Street Journal (WSJ) article, Robert Orttung, president of the Resource Security Institute, and Christopher Walker, director of studies at Freedom House, published the only kind of article on Russia politics allowed in the U.S. mainstream media print. It was yet another article on Russia’s, albeit, less than sterling human rights record. Specifically, the article rehashes the unsolved murders of Novaya gazeta journalists Anna Politkovskaya and Natalya Estemirova and criticizes Russia authorities’ use of slander laws to silence critics like Oleg Orlov of the Russian human rights organization ‘Memorial’. To be sure, these issues deserve some attention, but compared to what? The issue was the unsolved murders of journalists and the authorities’ efforts to muzzle the media. The focus of the three activists mentioned in the WSJ article – Politkovskaya, Estemirova, and Orlov – has been the violation of human rights in Chechnya. 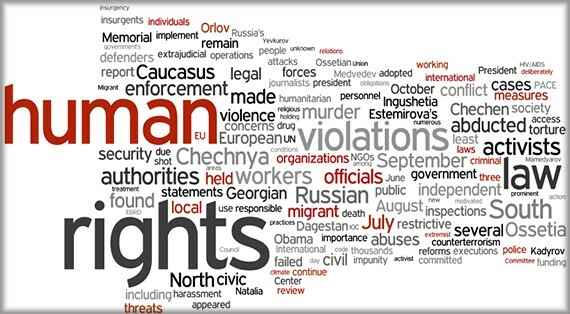 But in Chechnya and the North Caucasus the main violator of human rights is not the federal or even local authorities; it is the underground jihadist insurgent terrorist network known as the Caucasus Emirate (CE) and its affiliates. If we take the number of murdered journalists together with number of the killings and abductions of civilians in the North Caucasus since the end of the conventional war in Chechnya in 2002 that activists like Politkovskaya, Estemirova, and Orlov had been investigating, we find that the number of violations of human rights committed by the CE mujahedin far outnumbers those supposedly committed by the authorities. In just the three years since the formation of the CE in late October 2007, the jihadists have carried out some 1,300 attacks, killed approximately two thousand civilians, civilian officials, and police, military, and security personnel, and wounded just as many. While the Russian authorities have the conscience at least to deny any crimes for which they may have been responsible, the Caucasus mujahedin do not; rather, they openly boast about and videotape them and promise more after each. Yet neither the WSJ, nor the New York Times, nor the Washington Post have written even one article criticizing or detailing the CE, its record of violence, or its totalitarian jihadist ideology. Instead, they have tried to foist an image that the jihadists are of the long lost Chechen national separatist independence movement defunct already for many years. 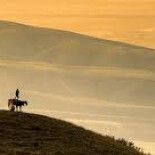 Moreover, many of the abductions and killings in Chechnya and the Caucasus are committed by local indigenous authorities and are the result of local traditions of criminality, violence, and “blood revenge” or honor killings. Why are the suspected perpetrators or enablers of perhaps several hundred murders at most highlighted by hundreds of articles, but the CE jihadis, who have killed thousands and wounded thousands more, are met with silence? To be sure, the violations of human, civil, and political rights under Russia’s soft authoritarian regime are real, but what if we should compare Russia to other countries? ROPV has already done a comparison of Russia with other countries that takes into account population (see Gordon M. Hahn, “Repression of Journalism in Russia in Comparative Perspective,” Russia Other Points of View, 16 December 2009). Whereas Russia has thousands of independent journalists and some independent media, countries like China, Saudi Arabia, and many others that the U.S. has sufficiently good relations with which the WSJ’s clientele does much business, have no independent journalists or independent media. Whereas Russia has perhaps a handful of political prisoners, China has thousands. For purposes of comparison I conducted a search on the Wall Street Journal’s website. Eleven WSJ articles mentioned Estemirova since July16th, 2009 when her murder was reported. Many more have mentioned Politkovskaya’s murder, many implying that Putin was behind it. When one searches “Chinese political prisoner” eleven articles for the thousands incarcerated appear for the same period. But only four have anything to do with political prisoners in China. A fifth is a short letter to the editor responding to a previous WSJ article. Chinese activist Gao Zhisheng, who has been repeatedly subjected to detention, has been mentioned in fifteen WSJ articles during the same period. Regarding China, we know it is the authorities who openly imprison political activists (and in prison kill them and harvest their organs). In Russia’s case, there is doubt about the central authorities’ culpability in, if not their responsibility for, the 17 unsolved murders of journalists killed since Vladimir Putin came to power in 2000. Several of these were the victims of criminal groups, and some were the victims of local officials or their allies in regions far away from Moscow. So the question for the Wall Street Journal’s editors and those of even more aggressively one-sided critics of Russia at the Washington Post and New York Times is: Why does the coverage of a handful of journalists killed in Russia equal that of thousands of oppressed and killed Chinese activists and lawyers? Why does the murder of a handful of journalists in Russia proper overshadow to the point of deadly silence the issue of jihadi terrorism that kills thousands of Russian citizens, Muslim and non-Muslim alike? On muzzling the media and the “truth”, the article fails to mention Russia’s uncensored internet (compared to the censored webs in China, Saudi Arabia, etc.) and quasi-independent newspapers (nonexistent among our friendly authoritarians). Nor does it mention the radio station Ekho Moskvy “which offers an alternative spectrum of opinions to three million Russians (out of 140 million) works under constant threat of closure, since its new owners are close to Mr. Putin.” This is a more modest statement of the facts than should be permitted to pass by. Ekho Moskvy radio has as one of its main stockholders the state-owned natural gas and oil company ‘GazProm’, and it regularly features the leaders of the democratic and non-democratic opposition, including the Wall Street Journal’s own editorial member Gary Kasparov. Why would Putin and the Kremlin resort to killing journalists who were writing what has been said many times over on a radio station that it funds? If the U.S. mainstream media published more balanced articles that pursued Russia’s complexity, they would provoke a more informed and fruitful discussion of Russia’s still unsatisfactory political order. Unfortunately, the U.S. mainstream media seem almost as determined as the Kremlin to stifle alternative views. About the Author – Gordon M. Hahn, Ph.D., is a Senior Researcher at the Center for Terrorism and Intelligence Studies (CETIS), Akribis Group, San Jose, California, www.cetisresearch.org; an expert analyst at Corr Analytics, http://www.canalyt.com.